The first wild kakī/black stilt chick has emerged from its shell and raises hope after a disappointing start to the 2011 breeding season. “With the hatching of this wild chick it is now starting to feel like the breeding season is underway. It has been a very late start. 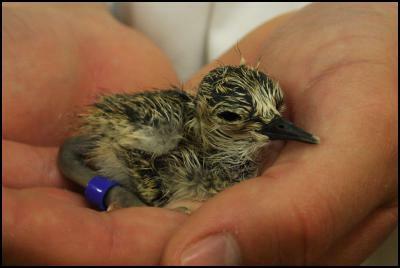 The first wild eggs would normally be hatching in October,” explained Liz Brown, DOC Aviculturist. “We are also down on the number of eggs we are incubating this year at our Captive Breeding Centre in Twizel. We have 30 eggs currently incubating compared with a consistent tally of around 60 eggs over previous seasons,” states Liz. A decline in nesting behaviour seems to be a general trend amongst all braided river birds this year. The region experienced snow in mid October which caused desertion of some nests. This was then followed by floods shortly after which delays re-nesting. Every spring, native river birds flock to braided rivers to breed. “From early September until late January those out enjoying braided rivers are asked to be considerate of our fragile nesting birds,” says Liz. The wild egg was collected by Department of Conservation rangers from a pair of adult kakī nesting on braided river gravels. It has taken 25 days to hatch. More eggs collected from the wild are expected to hatch within a few days. Kakī/Black Stilts are one of the rarest waders in the world. Threat classification is nationally critical. Main threat to the population is predation by feral cats, stoats, weasels and ferrets. Hedgehogs will eat eggs. Wild population was reduced to only 23 birds in 1981. In August 2011 the wild population was approx 170 birds. Six adult breeding pairs are held in captivity. Four pairs are held in Twizel at the Captive Breeding Centre. Two pairs are held in Christchurch at the Isaacs Wildlife Trust. 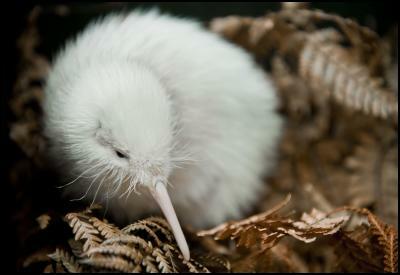 Manukura, the white kiwi chick hatched on 1 May at Pukaha Mount Bruce, yesterday got its first feel for the outside world when it graduated from the centre’s kiwi house nursery to an outdoor enclosure in the forest reserve. After reaching its required weight and all the expected milestones, including eating on its own, the chick was moved to a predator-proof enclosure in the Pukaha native reserve where 12 other chicks have been raised this season. Manukura was the 13th of 14 kiwi chicks hatched at the National Wildlife Centre this breeding season, the most successful there ever. The 14thchick remains will remain in the kiwi house nursery for the next week. Thought to be the first white kiwi chick hatched in captivity, Manukura will remain in the outdoor enclosure for the next 4-6 months subject to its behaviour and welfare. Visitors to the centre will be able to see the special kiwi each Sunday at 2pm after he has been weighed by Department of Conservation (DOC) rangers. A Facebook page to track Manukura’s progress has been set up by the centre. DOC has managed to breed two kakapo using artificial insemination in what’s being hailed as a world first and a boost for critically-endangered birds everywhere. Kakapo are notoriously slow to reproduce, and DOC hopes the breakthrough will now ensure the birds’ survival. 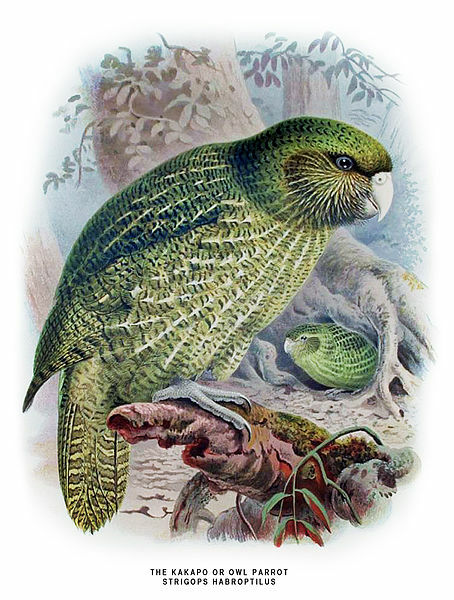 There are only 124 kakapo in existence, but with the help of artificial insemination, or AI, they may just be able to claw their way back from the brink of extinction. “It’s just a fantastic tool for us to protect the future population of kakapo against further inbreeding, and also hopefully improve fertility rates,” says DOC’s Deirdre Vercoe. “It’s a real breakthrough, a scientific breakthrough to achieve AI in a wild bird like this,” says Forest & Bird’s Chris Todd. 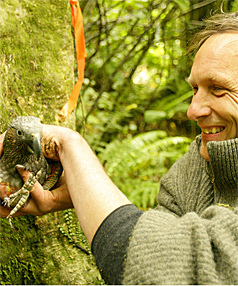 With more than 50 percent of kakapo eggs infertile, associate professor Ian Jameison says AI is a revolutionary tool in the fight for their survival. 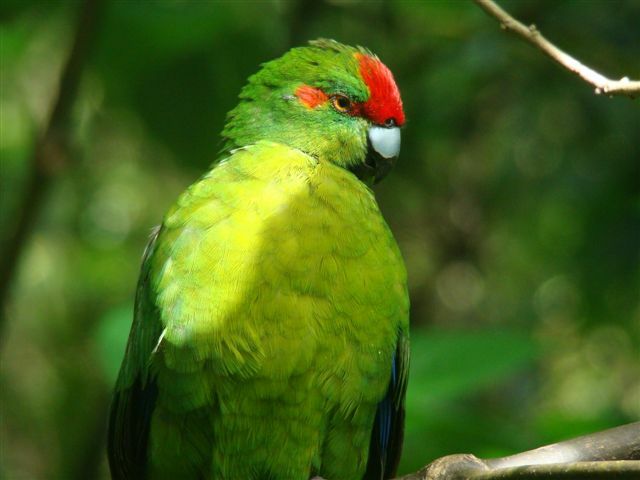 They’ve been gone for more than 100 years, but last week, a family of red-crowned parakeets was spotted flying down from the trees in a peaceful gully on Motutapu. Luis Ortiz-Catedral, parakeet specialist and Massey University PhD student, says one of the birds was clearly a recently fledged juvenile that must have hatched on the island. “I estimate it fledged about two weeks ago considering the size of the tail, the colouration of the beak and also because it was still being fed by its parents,” he says. Red-crowned parakeets — one of five main species of kakariki — were recorded on Motutapu in September by the Ornithological Society of New Zealand (OSNZ). The OSNZ conducts bird surveys for the Motutapu Restoration Trust every year. Mr Ortiz-Catedral joined them last week to look for signs of breeding parakeets. Only the male of the pair was banded, and had been released on nearby pest-free Motuihe eight months ago. Motutapu and Rangitoto are on their way to becoming pest-free after the Department of Conservation began a two-year campaign to rid the islands of seven remaining mammalian pests in June this year. Just minutes out of the nest and the terrified chick found himself having two feathers pulled out, a microchip inserted and numerous measurements taken. Yellow Mauve Lime, named after his leg band colours, was the first kaka chick of this year’s breeding season to be banded at Zealandia wildlife sanctuary in Karori on Thursday. The 538-gram native was a “brave frontrunner” which underwent the experience calmly, Conservation officer Matu Booth said. As Mr Booth inserted almost his whole arm into the heart of Yellow Mauve Lime’s nest, the mother bird and five other kaka squawked overhead but eventually calmed down. The chick also settled down, and Mr Booth said banding kaka was much more enjoyable than banding other birds, partly because kaka chicks were relatively big and easier to handle. This week’s screening of the BBC’s “Last Chance to See” programme featuring New Zealand’s own conservation ambassador Sirocco the kākāpō, has catapulted kākāpō recovery into the international spotlight. Department of Conservation staff have been amazed by the response that viewers of the “Last Chance to See” programme, starring Stephen Fry and Mark Cawardine, has evoked from the British public. “His Facebook page alone jumped from 600 friends to over 2000 friends in the 48 hours following the broadcast of the kākāpō episode of “Last Chance to See”,” said Sirocco’s media advisor Nic Vallance from the Department of Conservation. The show “Last Chance to See” is a remake of the series that the late Douglas Adams and Mark Cawardine recorded for radio and published a book on in 1990. Many of the comments posted on Sirocco’s rapidly growing Facebook page send words of support and encouragement to kākāpō recovery as well as many offers of donations to continue to increase the survival of the kākāpō. “The international interest in kākāpō is just fantastic,” said Vallance.